MIDORI D1 DANDRUFF REMOVE SHAMPOO 300ML – HAIRDEPOT - Hair & Scalp Care Products, Prevent Hair Loss, Shampoo, Conditioner, Treatment, Styling, Appliances and more! 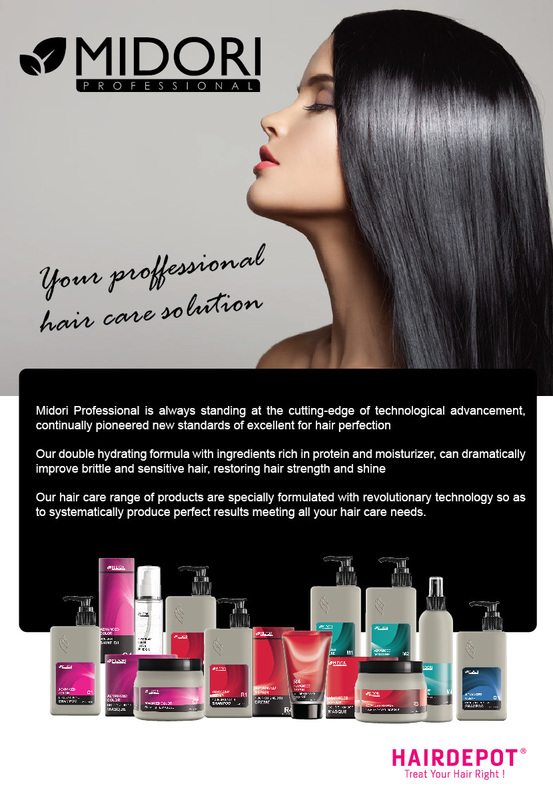 Our hair care range of products are specially formulated with revolutionary technology so as to systematically produce perfect results meeting all your hair care needs. 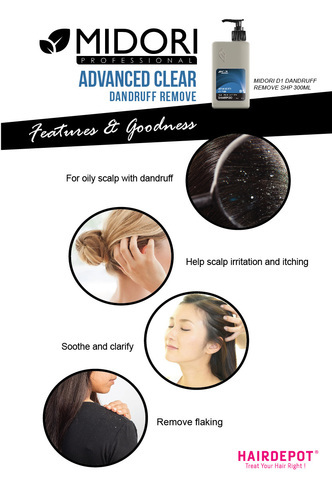 Dandruff control shampoo, soothe and clarify, hydrate scalp, help reduce flaking, irritation and itching. 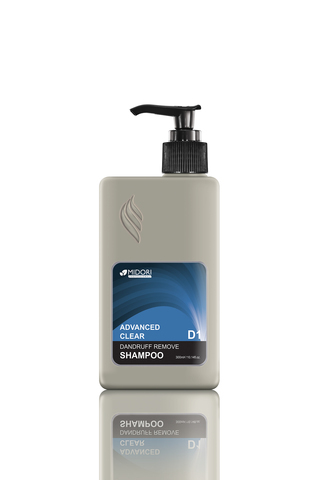 Specially formulated to giving hair a softer and smoother feel. Depending on length of hair, place one or two hazelnut-sized doses of shampoo on your palm. Work into light lather. Place one hand at front of head, one at back of head. Massage gently. Rinse well.